The 2018 Subaru Forester ranks Top 10 Best Cars in the small SUV category again according to Consumer Reports. See where the Subaru brand ranks. To be a Top Pick, each winning vehicle needs to perform well in road-test performance, reliability, owner satisfaction, and safety. Forester scored high in all four key measures and “is truly extraordinary” according to CR. This is the fifth year in-a-row Forester wins the Best Small SUV category. The Subaru brand ranks seventh overall among all automakers in the latest 2018 CR report behind Genesis, Audi, BM, Lexus, Porsche, and Kia. Subaru ranked ahead of Japanese competitors Toyota, Honda, and Mazda in the CR Brand Report Card. CR tested all seven of Subaru’s stable of all-wheel-drive vehicles including the front-drive BRZ sports coupe. The 2018 Subaru Forester is showing its age well and wins CR’s Top 10 Best Cars 5 years in-a-row. The small SUV will be the next model in the brand’s stable to get the new Subaru Global Platform. 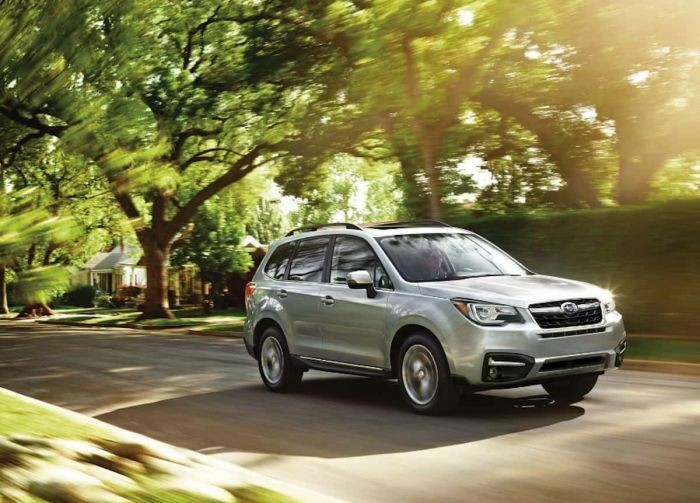 True to Subaru’s 5-year life-cycle, the Forester SUV is next in line. The fourth-generation Subaru Forester, introduced in 2013 as a 2014 model, is getting a complete remodel soon. The all-new fifth-generation 2019 Subaru Forester will arrive this fall in October 2018.